A 10-minute walk from Batu Belig Beach, Villa Lisha is a modern Balinese-style villa combining traditional touches with luxurious amenities. It offers a private pool, private terrace and free Wi-Fi access. Free private parking is available on site. 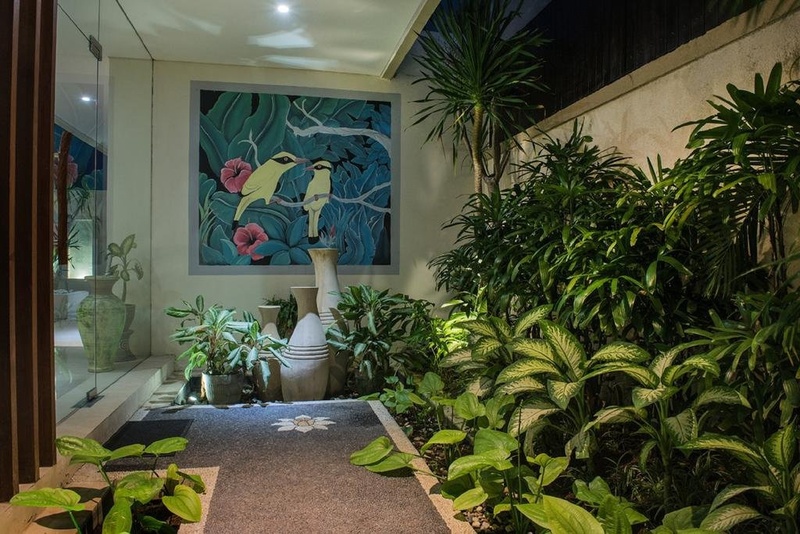 Villa Lisha is a 5-minute drive from central Seminyak and a 45-minute drive from Ngurah Rai International Airport. Spacious and well decorated, the villa features a fully equipped kitchen, dining area and a living area with a flat-screen cable TV and DVD player. The air-conditioned bedrooms include a seating area and an en suite bathroom with towels and free bath amenities. Airport shuttle, laundry and daily maid services are among the conveniences offered. The villa's chef can prepare meals upon request. Alternatively, various dining options can be found within a 5-minute drive from the property.